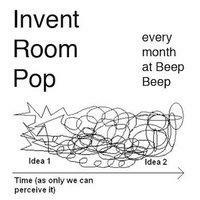 This is the 52nd installment of Invent Room Pop. Six musicians are invited to play in duos and trios determined at random, with names drawn out of a hat. Inspect the archives at inventroompop.bandcamp.com.